Home Ink Cartridge News Make Your Own Cassette Tape Wallet! Got a load of old cassette tapes? Don’t want to just throw them away? Why not recycle them and get a sweet new wallet too? Here at Ink n Toner UK, we’re all about recycling… We recycle old cartridges given to us and we send recycle bags with every purchase that can be recycled after use in store and online. So just like you would recycle your old cartridges, why not recycle other things such as old cassette tapes. Here at Ink n Toner UK we’ve done some research and made some instructions on how to make your very own recycled cassette tape wallet. We’ve written up the instructions on an awesome poster so why not check it out, print it out, and make your own wallet (plus they do look super cool and everyone around you will be jealous). Need ink or toner cartridges to print out your free DIY cassette tape wallet instructions? 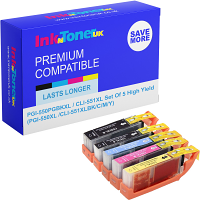 Well here at Ink n Toner UK we’re dedicated to providing you with the cartridges you need for the most affordable price. Click here for ink cartridges and click here for toner cartridges. 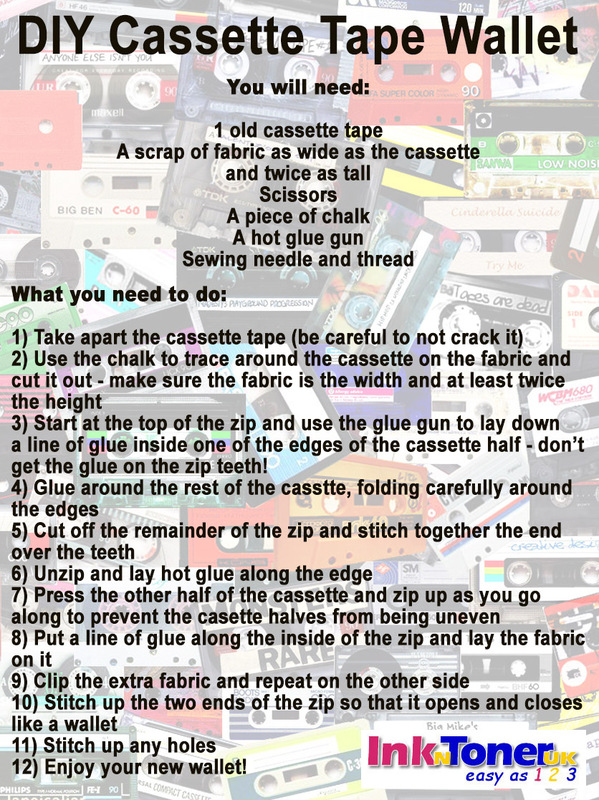 Click the image below to print out your DIY cassette tape wallet instructions!